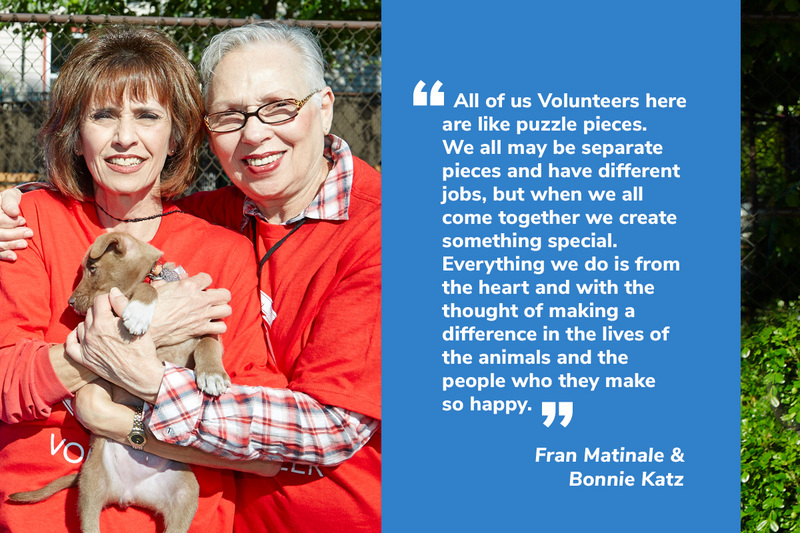 Join the more than 300 volunteers who have done 82,000 hours. At Animal League America, we could not perform all of the hands-on work that we do without the help of an incredible team of dedicated volunteers. 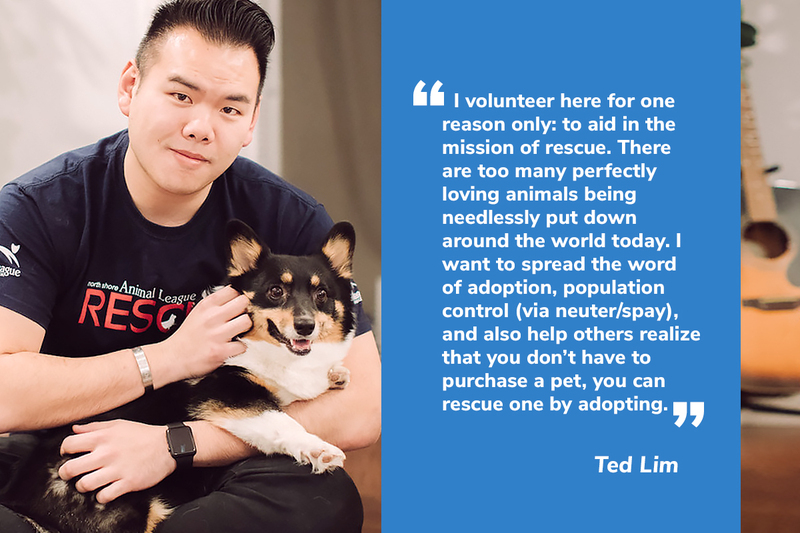 In addition to possessing an abundant love for all animals, volunteers must be able to volunteer between 2 and 4 hours per week, be at least 16 years of age, attend training classes, be interviewed at a Volunteer Open House, and fully support all of Animal League America’s policies and philosophies. Are you passionate about cats? Can you devote between 2-4 hours a week for twelve months to help our rescued pets? We are currently looking to fill several positions for feline friendly volunteers. You could become part of our incredible team of dedicated volunteers. Volunteers in the adoption center can help in the following areas: dog walking, socialization, feeding, cleaning, grooming, rescue, basic health care, training and obedience, adoption counseling, mobile adoption assistant, answering telephones, and making follow-up phone calls to adopters. Volunteers in the medical center can help in the following areas: dog walking, socialization, vet tech aide, administrative assistant (includes record keeping, answering telephones, filing, scheduling appointments, etc.). Can’t make it to our Port Washington campus? Then become a virtual volunteer! You can start a fundraiser or become an Anipal. Did you know that it costs an average of about $1,000 to prepare a homeless pet for adoption. Special needs animals cost much, much more. Because we receive no government funding, and precious little corporate support, we rely almost exclusively on individual donations and special events to support our lifesaving work. 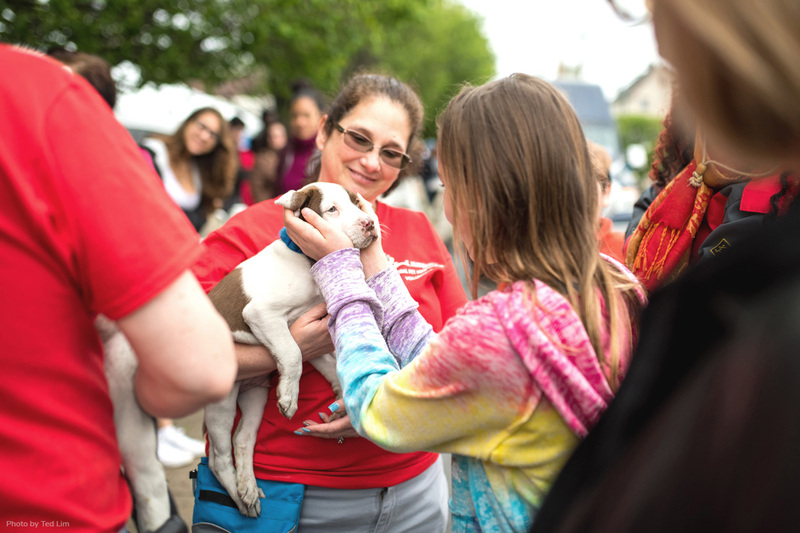 Volunteers aid our essential fundraising activities immensely, particularly helping out at our special events here at the Animal League, like the Pet Adoptathon™ and Family Fun Days. Our events, and even office work, are always fun for everyone involved! As a no-kill shelter, we make a commitment to care for all animals in need. As a result, we always have a group of special animals that need a level of individual care that is difficult to provide in a shelter environment, or the very small number of animals that have been in the shelter for an extended period of time that would benefit from a period of home care. All animals placed in foster care continue to receive the full range of services from the Animal League. Learn more. 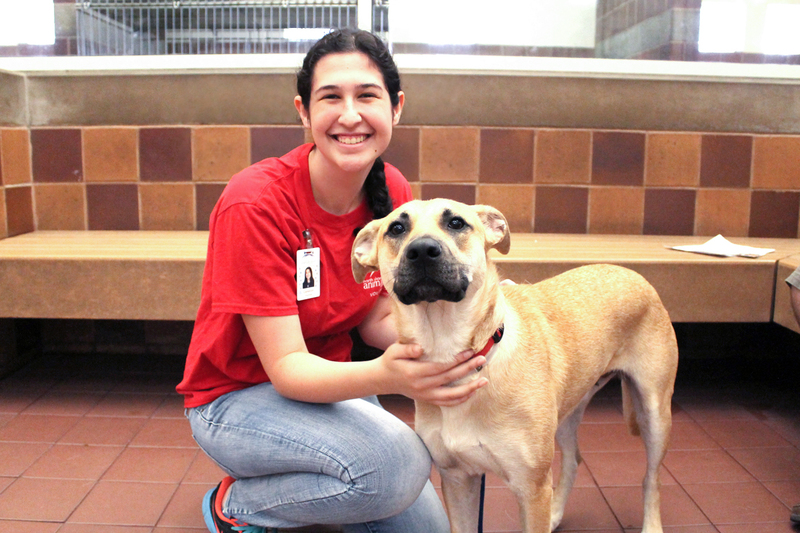 North Shore Animal League America’s Teen Volunteer Program gives high school students (ages 16-18) the opportunity to make a difference in the lives of homeless dogs, cats, puppies, and kittens awaiting responsible, loving homes at our Port Washington, N.Y. campus. 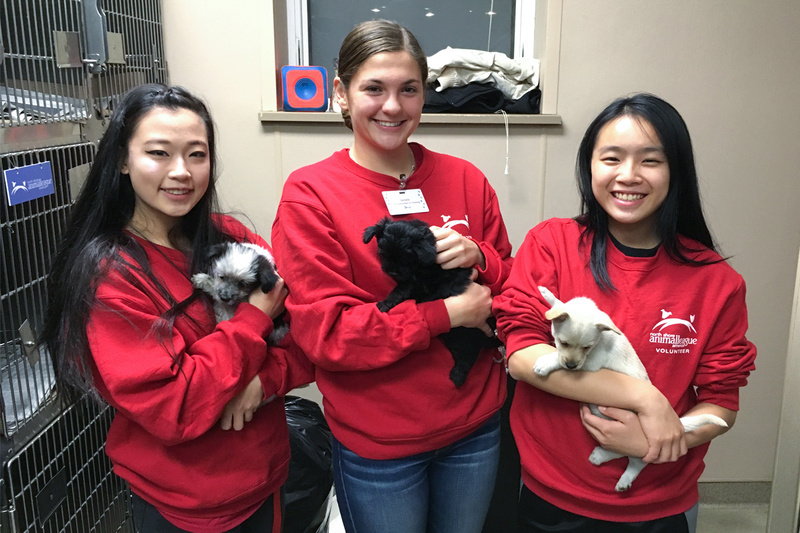 Teen Volunteers are asked to commit two hours each week for six months to assisting our shelter staff in the adoption center with various tasks like cleaning cages, feeding and giving water to the animals, participating in enrichment and socialization activities, and creating bonds with grateful shelter pets that will last a lifetime. For more information, contact us directly at 516-883-7900, EXT 329, or e-mail to [email protected], or fill out the online volunteer application. Students of all ages can help us create better lives for our deserving Mutt-i-grees at their own pace from wherever they live! Members of churches, temples, scout troops, sports teams, and all other community organizations and clubs from all areas of the country can create fundraisers or supply drives in support of Animal League America’s lifesaving mission. Even the smallest contribution can create a world of difference in the lives of homeless animals. Below is a list of items you can donate to our shelter that will enrich the lives of all the animals we care for here. Volunteer opportunities in the Adirondack, NY Region. Be a part of our life-saving community. Apply now. Would you like to be involved in saving the lives of dogs and cats across the United States! We are looking for volunteers who can assist with planning and organizing our national events. You need to have experience with telephone work and be computer savvy (will need to send out e-mails and create Excel spreadsheets and input information). 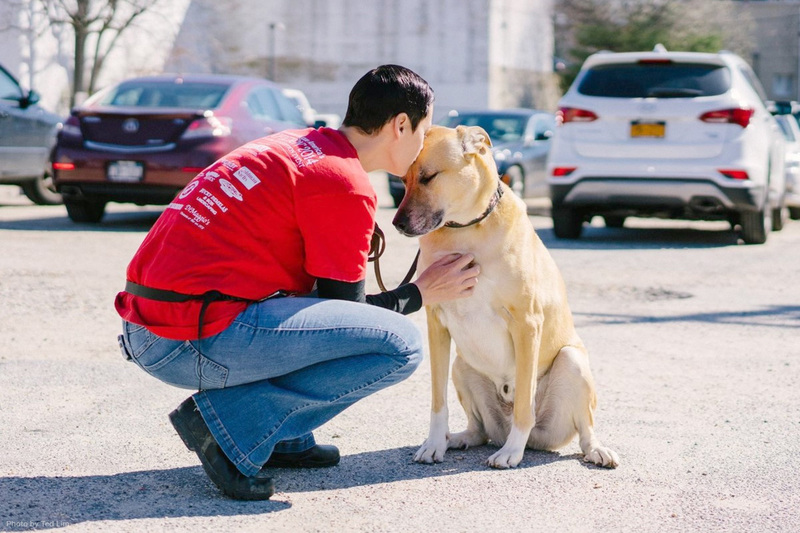 As part of the off-site adoptions team, you can also become involved in personally assisting with cat and dog adoptions at weekend events throughout the Tri-State area! Required: One 4-hour shift per week for a commitment of one year; Tuesday through Saturday. Calling all cat lovers! We need people comfortable with all types of cats—not just kittens. We can use help cleaning cages and litterboxes and brushing and socializing cats—both individually and through play groups. 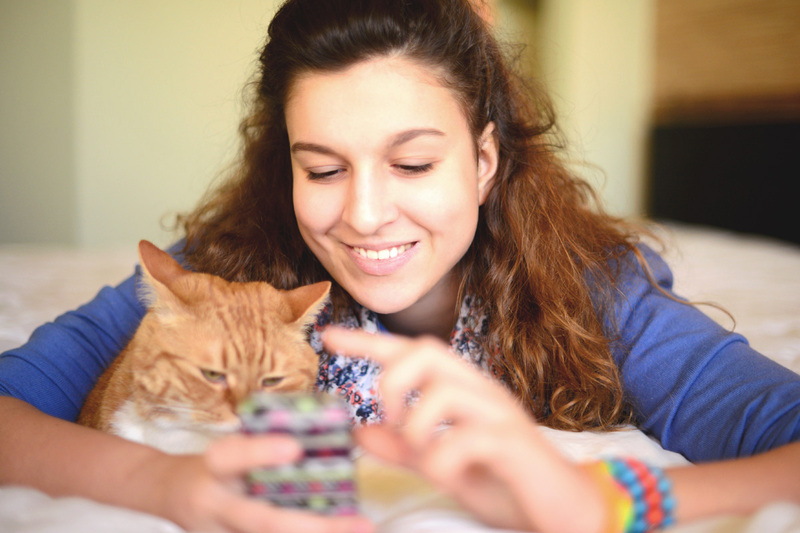 Weekend cat volunteers can also provide customer service to adopters and find their perfect matches. We are looking to staff three different cat areas: the Cat Room in the shelter, the Cat Habitat (a real life room with 8 – 10 cats)and the Cat Sanctuary (a behind-the-scenes area). Required: A shift of either 2 or 4 hours per week, depending upon the area, for one year: Cat Habitat and Cat Sanctuary can be two-hour shifts. Cat room adoption positions are 4 hours per week during adoption hours (Friday 4 – 9 pm or Saturday and Sunday 12-8 pm). Can’t be hands-on with our rescue animals, but want to still make a difference in their lives? You can as a Data Entry Volunteer. All information from adoptions from the previous week need to be entered into our database. This helps us do computer checks on all potential adopters, complete follow-up telephone calls and update all animal medical records. The last step in the process involves filing the original adoption applications alpha-numerically so information on adoptions can be found easily. Required: One 2 – 4 hour shift per week for a commitment of one year; Monday through Friday. 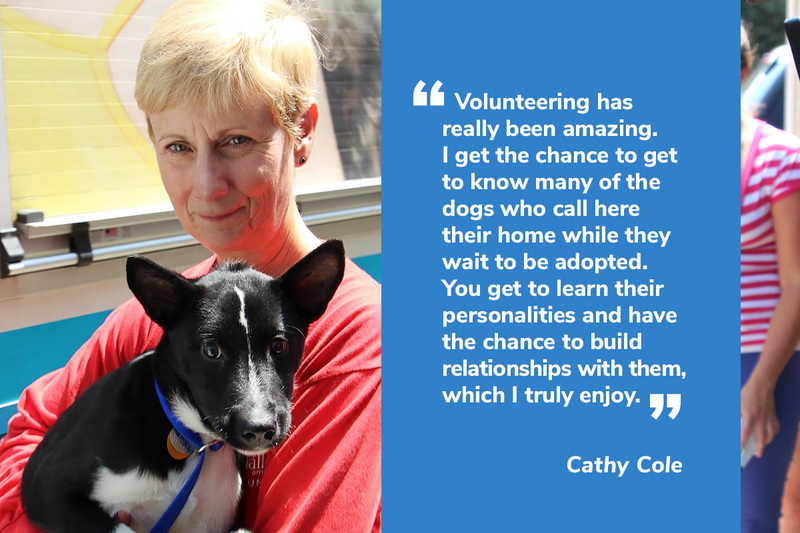 If you are crazy about canines, we have a volunteer opportunity for you! As a Volunteer Dog Walker, you provide much-needed exercise, attention and socialization for our adult dogs. You must be comfortable with and able to handle safely all sizes and breeds of adult dogs. This position requires a willingness to clean up dog waste and attendance at dog walking classes. Required: 2 – 4 hour shift per week for a commitment of one year; Monday through Sunday. We are looking for volunteers who have a basic understanding of general feline behavior AND have some experience with fearful and reactive cats. You must be willing to handle and socialize these types of cats AND be thorough in monitoring and recording any aggressive, unusual or anxious behavior observed. You would be required to execute behavioral protocols as instructed. This is a great opportunity to advance your knowledge of and/or gain hands-on experience with all types of cats! Required: Two 4-hour shifts per week for a commitment of one year; Monday through Sunday. Are you looking to help homeless cats and dogs, but can’t make a long-term adoption commitment at this time? Then consider applying to become a foster care parent! 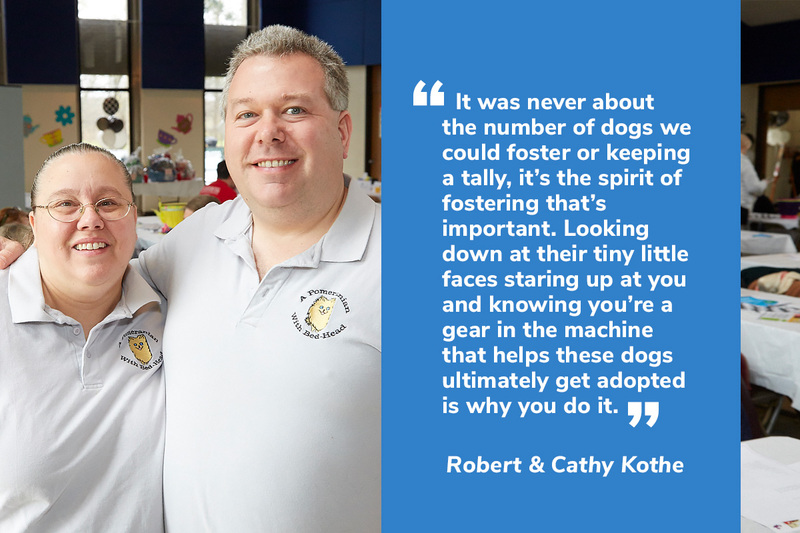 Foster care parents provide temporary care for cats, kittens, dogs and puppies in their own homes and help prepare them for adoption. Foster animals are often too young to reside in our shelter, being treated for illnesses/injuries, under-socialized or not thriving in the shelter environment. You need to be at least 21 years old, have reliable transportation and have the ability to bring your foster animal to North Shore Animal League America in Port Washington, New York, for all medical appointments and adoption meetings. Our organization is able to provide many of the supplies necessary to care for the animal. Required: Must complete Foster Care Parent online application, be approved, and complete Orientation in order to become a Foster Care Parent. Interested in fostering? Assist in the day to day operations of the Foster Care Department. Assist in the arrangement for placement of animals into temporary foster homes. Maintain database of available foster volunteers. Perform reference checks on potential foster care volunteers. Organize supplies, order medications and set up medical appointments for foster parents. Socialize and comfort foster eligible animals. Get to know the individual needs of the foster animals. Answer and return phone calls. Must have excellent customer service skills and be able to work independently. An interest in the medical care of rescue animals. Must learn the use of proper leashes/tools when taking dogs out of a kennel for potential foster parents. Must practice safe animal handling skills as per NSALA protocols. Willingness to clean as needed. Volunteer Orientation and Basic Training classes. 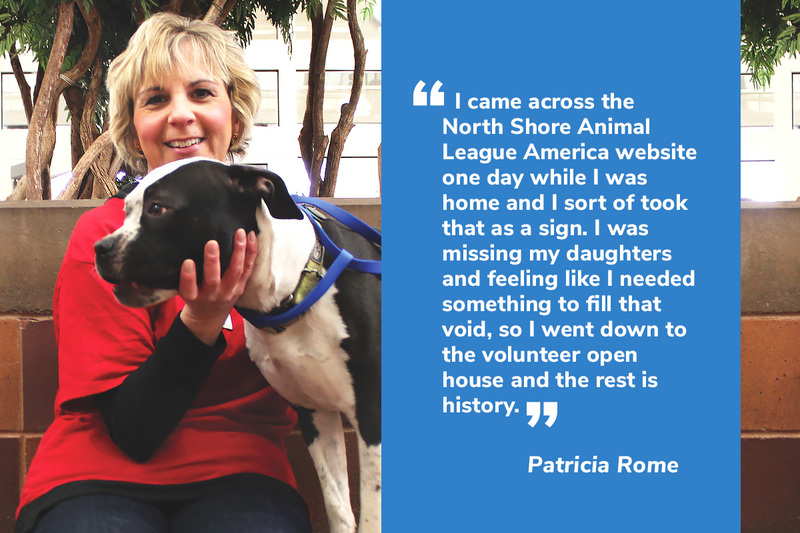 North Shore Animal League America is urgently seeking volunteers to support our life-saving rescue efforts and the nurturing achievements of our foster care parents by providing excellent administrative and customer service support. You will be processing adoption applications for rescued pets, entering the data, updating and transferring records and scanning files into the computer. Another vital role of this position would be serving as a liaison between Rescue and Foster Care Services and the Animal League America communications team in order to help promote the rescues. You need to be able to take photos of the rescue and foster animals on the premises. Experience with various social media platforms is necessary. Required: Two 4-hour shifts a week (for a total of 8 hours per week); Tuesday through Friday between 9:00 am and 4:00 pm. North Shore Animal League America is always looking for volunteers to assist with screening potential adopters through computer checks, making phone calls to references, and processing adoptions. For this position, we need volunteers that have basic computer database skills and excellent communications and customer service skills including a positive and friendly attitude. Processing adoptions involves getting all paperwork signed, collecting donations and reviewing NSALA adoption policies. If you wish to make a difference in the lives of animals but are not looking to be hands on, this position is a great fit for you. Required: One 4-hour shift per week during adoption hours (Friday 4 – 9 pm or Saturday and Sunday 12-8 pm) for a commitment of one year. Do you enjoy working with today’s youth? If you do, consider becoming part of our unique Mutt-i-grees outreach team. Present activities related to the social-emotional learning curriculum in classroom and library programs and conduct assemblies. Must be willing to travel either on your own or with the team throughout the five boroughs and on Long Island. Able to assist in handling dogs and/or cats for the education programs. Flexible schedule is a must—many programs on weekdays, but occasionally on weekends. Desire to make a positive difference in the education of youth to increase their understanding, appreciation and respect for shelter dogs and cats and for each other as individuals. Required: 4 hour shift per week for a commitment of one year; Mondays through Saturday. The Events Department, part of the Development Office, is seeking volunteers to help out at both fundraising and non-fundraising events, at sites off the campus. Must be positive, friendly and engaging with good communication skills. Must be 18 years old, have a driver’s license and a vehicle. Main duties include: being responsible for taking care of and handling the animals; assisting with logistics such as basic set up and registration and breakdown; and assisting in the office with mailings, Excel lists and telephone calls. Do you enjoy traveling to different parts of the tri-state area? How about combining that with getting our homeless pets adopted! We are looking for volunteers on the weekends who would like to participate in special adoption events with our mobile units. You must be 18 years old, have excellent communication and customer service skills and be willing to either drive yourself or go with the offsite crew to these events. Must be comfortable with interacting with the public and handling animals. You will be asked to keep animal cages clean, walk dogs, help adopters find the right pet match and complete adoption applications. Required: A shift of from 5 – 9 hours a week (depending upon if you provide your own transportation) for a commitment of one year; Friday through Sunday. Assist the trainers with daily duties as assigned, i.e., housebreaking walks, making shreds and preparing Kong’s, distribute bones and toys, feed and medicate, etc. Dependable person with the ability to safely handle both dogs and cats, knowledge of animal body language for dogs and cats, and the willingness to learn. Not an entry level position. Animal League America’s Petland Discounts Cat Adoption Program has a great need for volunteers to assist in the areas of our five stores in New York City. Must be very comfortable with cats and have a schedule that is flexible during weekdays. You must have a clean driver’s license and be able to use your own vehicle to transport cats in carriers. On any given day, you may be asked to clean the cat cage in the store; assist with cat adoptions; coordinate the drop off of supplies; transport a cat back to North Shore for a medical visit or deliver a new cat to a store. We will also consider volunteers who can be on the ground in the store cleaning the cages, assisting with the cat adoptions and receiving supplies. The stores are located in four boroughs of New York City. The areas are: West 23rd Street in Manhattan; Greenpoint, Brooklyn; Jerome Avenue in the Bronx; Jackson Heights and Long Island City in Queens. Required: One 4-hour shift per week for a commitment of one year; Monday through Sunday. Did you always want to help homeless animals? Here’s your chance to care and comfort them, but also to assist in finding them homes. These volunteers work in the Adoption Center both behind-the-scenes and on the adoption floor. Must have good customer service skills in order to speak with adopters and help them find the right match. Need to be willing to clean cages. Need to take additional training classes on puppy socialization/behavior/housebreaking; basic cat class and the adoption process. Required: 4 hour shift per week for a commitment of one year; Friday afternoons through Sunday evenings. Assist with follow-up telephone calls and e-mails to recent adopters to ensure that adopters’ needs are being met and check on the welfare of the NSALA animals. Must be computer literate as will need to input data and send e-mails. Willing to contact adopters via telephone or e-mail using pre-determined follow-up questions. Have the ability to enter all necessary information onto a quality control follow-up sheet for that particular day in the adoption database. Must be responsible and dependable. Must take North Shore Animal League Training for Quality Care Follow Up. North Shore Animal League Quality Care training. 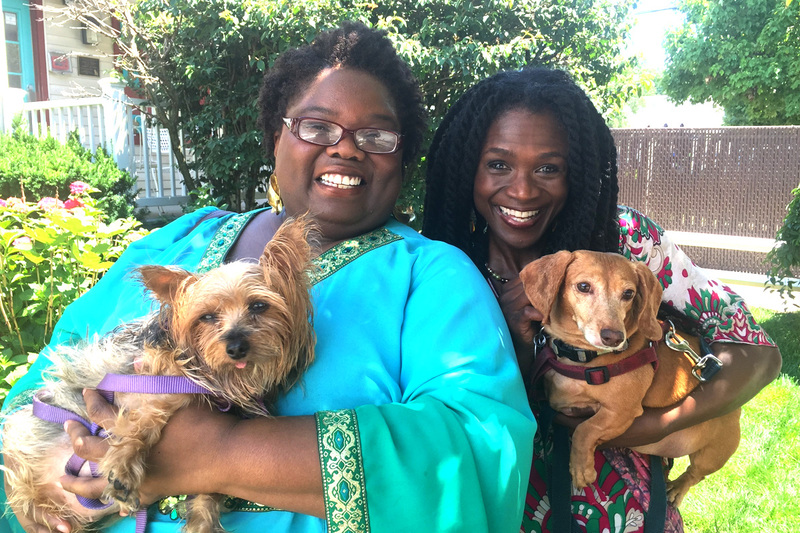 Assist with, or conduct, in-home follow-up visits for adopted animals. All volunteers must agree to a time commitment of a weekly shift of 4 hours for a minimum of 1 year. We are seeking compassionate and caring individuals who love animals, but also love to interact with seniors. You believe in the ability of pets to lift people’s spirits and you bring with you the healing power of puppy and kitten love! A flexible schedule is required so you can visit different types of facilities such as nursing homes, senior centers, head injury facilities, and those specializing in Alzheimer’s patients (mostly during the week days). You need to be at least 18 years old, have a valid driver’s license and provide your own transportation to and from the facilities. You should be able to handle the puppies while offsite, making sure they are safe at all times and feed then on returning to the adoption center. Required: Two 4-hour shifts per month for a commitment of one year; Tuesday through Friday. Strong people and organizational skills. We are seeking volunteers who have a desire to help those of our rescued pets who need extra comfort and care and have an interest in veterinary medicine. You need to be a detail-oriented person who can document necessary information for veterinary staff when cleaning cages, coaxing animals to eat and exercising them. At the same time, you would be assisting these puppies, kittens, dogs and cats to become more social with people so they are prepared to go up for adoption when they are feeling better.